As technologies advance and change, so do power requirements. While your home’s power supply may be enough to feed all your electronic needs at the moment, you may be operating at the upper levels of your control panel’s capacity. In which case, adding more items to your home may not be an option, at least until you upgrade your electrical serve. There are a couple of good reasons to upgrade your electrical panel. These include functionality and financial benefits. Function: As mentioned, it’s important to stay ahead of power requirements when technology outgrows your home’s supply. Newer homes may already be outfitted with an electrical panel that can support a heavier electrical load but that may not be the case for older homes. If you plan on staying in your older home for a while, it would make sense to upgrade so you are able to take on more electrical load. Financial: For the purposes of selling your older home, it might be advantageous to upgrade your control panel. Prospective buyers will see that the home is capable of accommodating their electrical requirements without them having to upgrade the system themselves, allowing for higher resale value. Safety: Perhaps the most important reason to upgrade is to keep the home and its inhabitants safe. 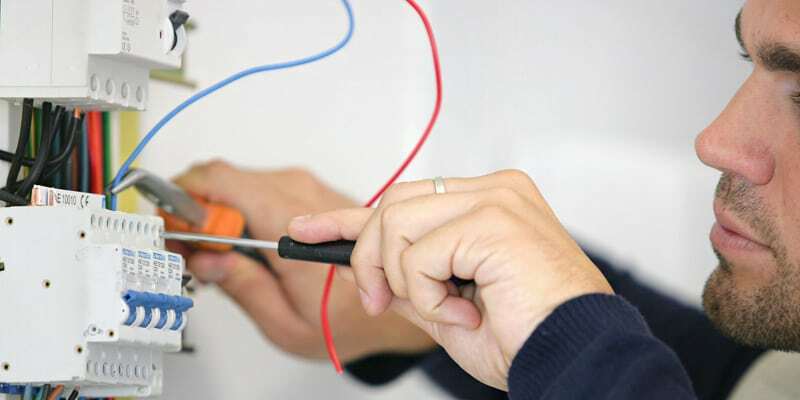 If you experience things like flickering lights, buzzing or crackling noises, and blown fuses from time to time, it may be a sign that your panel box is overloaded or damaged. It’s time for an upgrade. On average, a homeowner will pay approximately $1100 for a new electrical panel depending on where you’re located. It could be more or less. Then there are labor costs to consider. It can run between $500 and $800 for a professional electrician to install a new box. This could bring your total to anywhere from $1600 to $2000. If needed, added costs to change over old wiring, damaged circuits, or outdated electrical outlets could be added to that total. No matter the reason for an upgrade, it’s always a good idea to speak to an electrical professional for your options A professional can help with getting the right electrical panel and level of output for your home.